A moderately heated, cozy home is what every homeowner looks forward to settling into. However, keeping the floors warm to the touch is more demanding than you might have thought. Certainly, covering them with carpets or turning the temperature up helps, but only momentarily. “But, summer is just around the corner, so why think about cold floors?” you ask? While the reasoning is valid, this might just be the best time to fix cold floors. Think about it – would you risk having cold floors in summer, or winter? 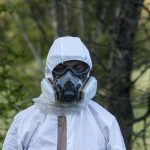 In order to not put up with cold floors, more and more people are considering crawlspace encapsulation. 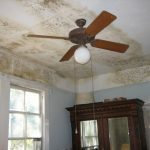 Not only does it serve in sustaining warmth and comfort in your home and significantly reduce your heating bills, but it can also contribute to eradicating mold growth. The predicament with other heating alternatives, such as central heating systems is that there is always a glaring temperature contrast between the room and the floors which could be quite uncomfortable. However, crawlspace encapsulation ensures that the temperature and levels of humidity are regulated and uniform everywhere in the room. Crawlspace encapsulation is an effective way of adding warmth and coziness to your home, but, there’s more to it than just heating the floors. Cold floors can accumulate moisture, which could support mold growth. Since mold is a form of indoor pollution, cold floors can result in a bad and hazardous indoor air quality. An adequate crawlspace encapsulation can inhibit the growth of allergens and other stimulants that could deteriorate your well-being by implementing consistent warmth throughout the room. This is directly responsible for maintaining the indoor atmosphere as clean and healthful as possible. Furthermore, crawlspace encapsulation is also quite energy efficient and can save you a ton of money in utility costs. Without a proper crawlspace encapsulation, heating systems have to operate vigorously to transfer heat, which could lead to a considerable loss of energy and system inefficiency. An appropriate crawlspace encapsulation empowers you to lessen the volume of power used so that you enjoy surpassing savings on your electricity bills. Installing crawlspace encapsulation may require significant efforts and resources, which is why it’s best to leave the matter in the hands of specialists to achieve a secure, productive and effective installation. If you want your room temperature to be warm and consistent, you can benefit from crawlspace encapsulation. 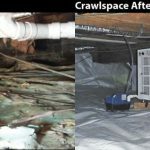 Remember, encapsulating your crawlspace can also help you avoid a cold, moist, and damp room that’s contributory to decay, corrosion and most infestation.